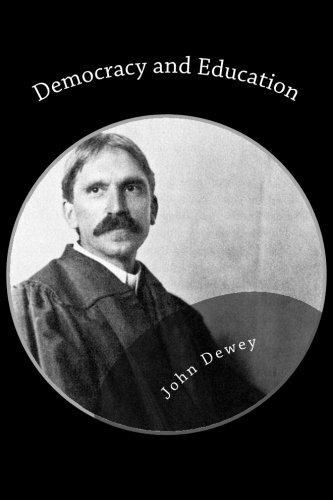 Amazon.com description: Product Description: In this book Dewey sought to at once synthesize, criticize, and expand upon the democratic (or proto-democratic) educational philosophies of Rousseau and Plato. He saw Rousseau's philosophy as overemphasizing the individual and Plato's philosophy as overemphasizing the society in which the individual lived. For Dewey, this distinction was largely a false one; like Vygotsky, he viewed the mind and its formation as a communal process. Thus the individual is only a meaningful concept when regarded as an inextricable part of his or her society, and the society has no meaning apart from its realization in the lives of its individual members. However, as evidenced in his later Experience and Nature (1925), this practical elementÃ¢ÂÂlearning by doingÃ¢ÂÂarose from his subscription to the philosophical school of Pragmatism.